The look – field design, Facade, Monuments Park, and the feel – tradition of all that happened there – were all so cool, but the sounds are what I remember most. Dang, I would have loved to rank this major league stadium at the very top of my major league stadiums, for it was surely hallowed ground, when it comes to baseball places. It meant so much to me, especially because of my dad. The only reason it does not get a much higher ranking on my stadium list, and if you have been following my stadium reviews, seems to be a never-ending story, is that I simply had few memorable plays there. 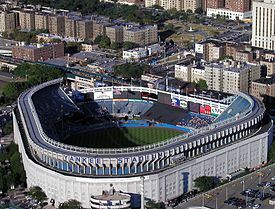 However, the experiences at Yankee stadium were, and still are so precious, and that stadium provided music to my ears. When most baseball people think of Yankee stadium, many greats of the game come to mind. The first great that comes to my mind was a guy that absolutely had it made, as he got to play at every Yankee game without ever getting a hit or throwing a ball, even though he had many hits off the field. So, so many awesome players graced Yankee Stadium over the years. There is “ The Babe,” “The Luckiest Man on the Face of the Earth,” “Joe D,” “The Mick,” “Whitey,” “Yogi” “Reggie” and “Derek, just to name a few.” My favorite from my youth was “Bobby” (Murcer). However, whenever I think back to my playing days in the Bronx, my mind automatically shifts to one of the all-time greats, who, as mentioned, did not have the day in and day out pressure to hit or pitch. The figure that appears in my mind when it comes to Yankee Stadium is the iconic Frank Sinatra, at least the sound of his voice. 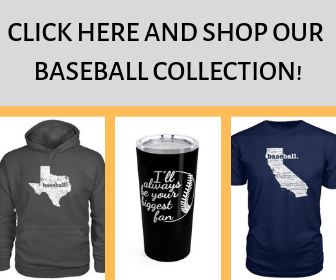 Those of you, who have been to this holiest of baseball stadiums, know they blast the famous “New York, New York” song by Frank Sinatra immediately after Yankee games, and hearing it from the playing field was and remains a priceless memory. Of course, that was not the only memorable sound there, as just hearing the incomparable Bob Sheppard announce names before and during games is also unforgettable. Talk about cool, to hear my name, “Now Batting, Jack Perconte” – at Yankee Stadium, made me feel “Top of the List, Head of the Heap” – what a place, sound, and memory. To one-day, play in Yankee Stadium was beyond a dream come true for me, and for my dad. My dad grew up in a baseball age, when there were the New York Yankees and the rest of the teams. Ironically, old Yankee Stadium opened the year my dad was born, 1923. Everyone loves a winner, so it was common to be a Yankee lover, or Yankee hater, no matter where one lived, as they won tons of championships. My dad was the lover. Like many kids, who want to establish their own identity, I rebelled from my dad and choose another Major League team as my team, the near-to-home Chicago White Sox. 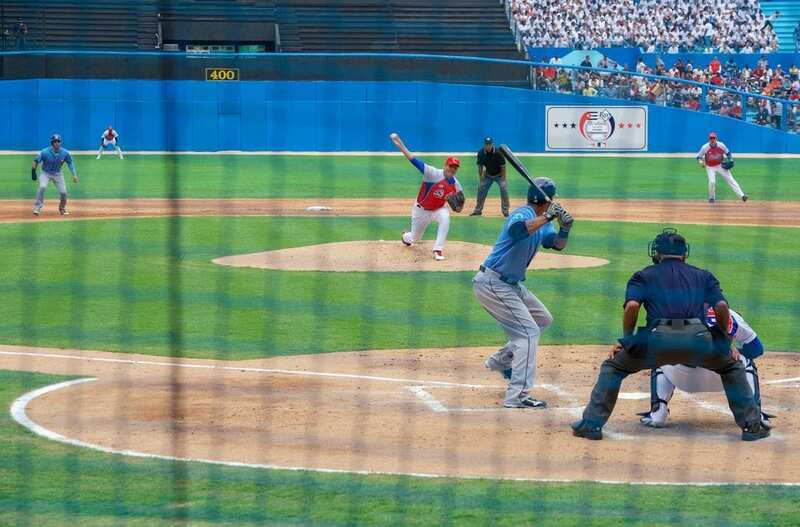 The best laid plans do not always last long, and at the age of 6, I walked into Comiskey Park, Chicago, as one of the most rabid of White Sox fans, and walked out of the stadium a diehard New York Yankee fan, the Sox opponent for that game. That was the power the Yankees possessed, not only on the ball field, and I am sure my dad probably had that in mind by taking me to see those “Damn Yankees” – one of my favorite movies from back in the day, too. My personal achievement in Yankee Stadium was my power display – a game winning RBI on an uncommon sacrifice fly in the 17th inning that beat the Bronx Bombers one night. Unfortunately, most of my memories there were of being over-matched at the plate by the likes of Gossage, Righetti, and Guidry, and is the reason Old Yankee Stadium is not ranked higher, as the venue deserves, but I must stay with my top criteria for rankings – how I played in the stadium. A park is only as beautiful as the results, and it was always tough to beat the Yankees there. Another great memory of Yankee Stadium was hilarious; after all, what is New York without a show, and boy did our Mariner manager, Chuck Cottier, deliver. Usually mild mannered, Chuck just snapped one afternoon after a perceived bad call, when he uprooted first base, before unloading all of our bats and helmets from the dugout to the playing field. Broadway, Lou Piniella, and Billy Martin had nothing on Chuck that day, as we all roared with approval from the bench. Of course, I left out many prominent Yankees, as that is an article of itself, but the one that stands out from my playing days is “Donnie Baseball” – Don Mattingly. He was one of those that made me feel like “I had made it there,” just being on the same field with the best of the best. Wow, could he play, and both sides of the game, great offensively and defensively. A worthy Hall of Famer in my eyes. Speaking of Billy Martin, it was inspiring to look into the dugout and see Yankee manager Billy Martin. It always seemed like he was a step ahead of everyone else and symbolized the Yankees as much as anyone else in that era. Clue to Next Stadium – Where it all began for me? * I have to apologize for the clue from my last stadium article – that stadium actually was deleted because my memories were too vague and I miscounted the number of stadiums left to rank. Read all stadium reviews at the top under stadium reviews.